The basic structural system of the ramp is a post-tensioned concrete beam and slab system utilizing high performance concrete. 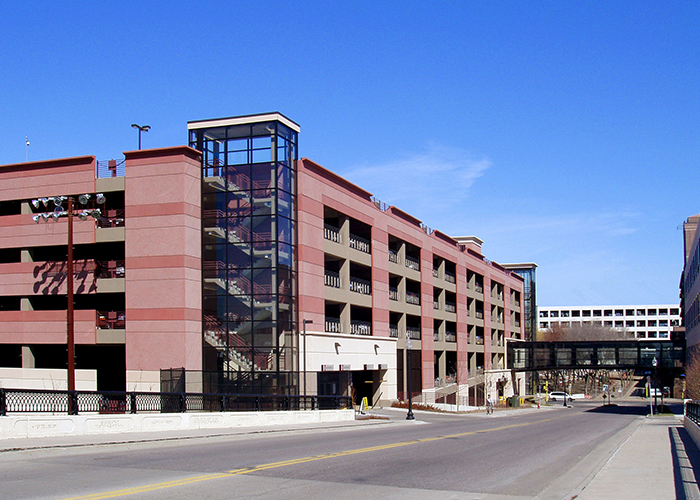 Exterior cladding is precast concrete panels and cast-in-place concrete spandrel beams. 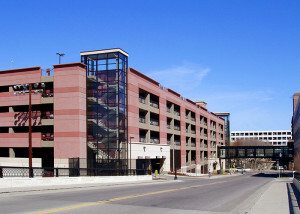 Features include a fully isolated, cast-in-place concrete beam and slab lobby and stair tower, and a skyway linking the ramp to its associated office building.